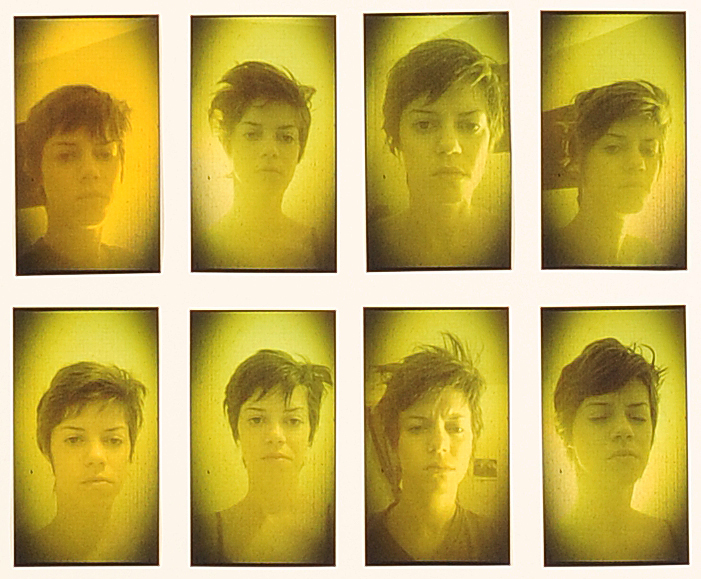 Awake imaginatively explores the unexceptional act of waking up in the morning. Centering on themes of identity and subconsciousness, Balch and Duehr use photography and domestic objects to divulge their waking moments. 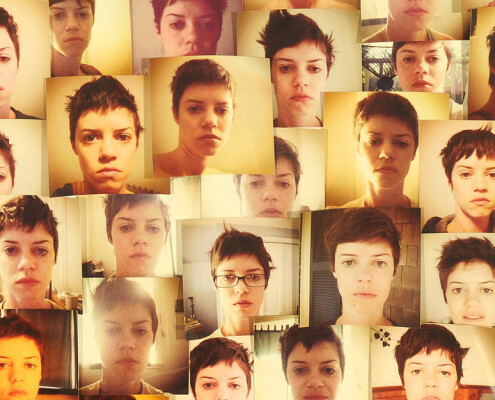 Christina Balch’s 27-foot wall installation, “Awake”, features hundreds of small self- portraits taken with the artist’s mobile phone at the time of waking every morning. The photos, each distinct from the last, show the artist in various states – dazed, angry, disgruntled, content, exhausted. 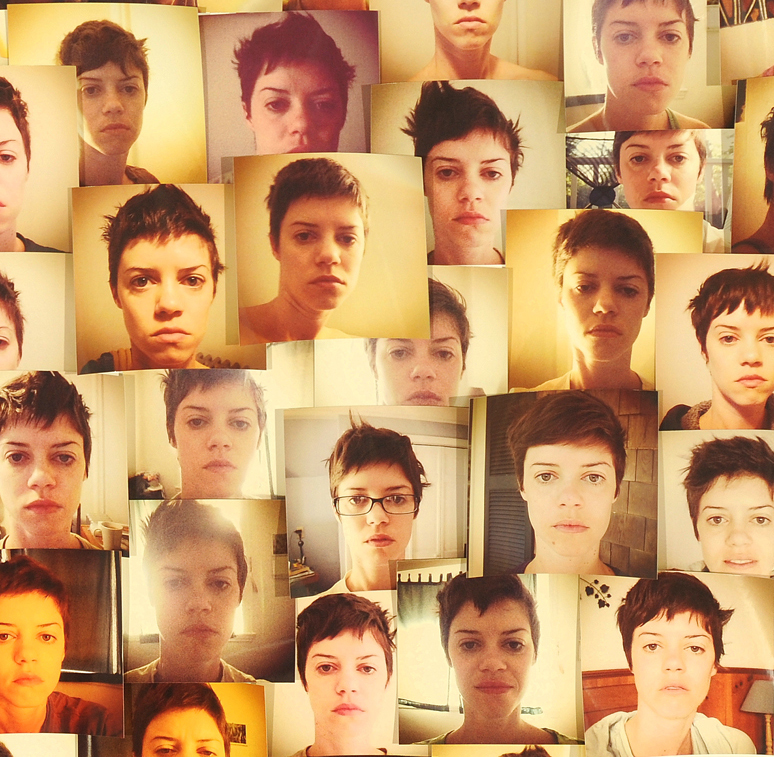 Drawing inspiration from self-portraiture in feminist art, Balch builds on the subject through documentations of herself at a time when there are no conscious preparations for a self-portrait. Balch invites visitors to actively participate in the development of “You Are Awake”; an assemblage comprised of a mirrored medicine cabinet and small articles. 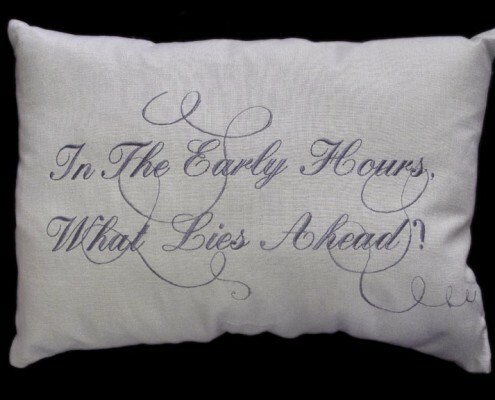 Visitors will share the mundane experience of viewing their reflection in the bathroom mirror, referencing waking up in the morning. A camera phone will be provided for visitors who wish to participate by capturing their reflection. Throughout the length of the exhibit, Balch will collect and add prints of these “self-portraits”, or “selfies”, to the cabinet assemblage. 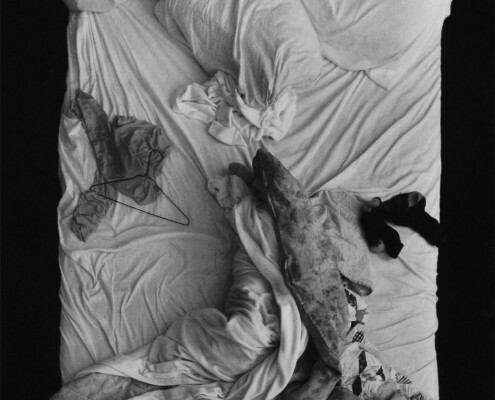 Similar to “Awake”, Gary Duehr’s series of photographs, “BedScapes”, records daily activity. However, in contrast to Balch’s work, they emphasize the absence of the artist. 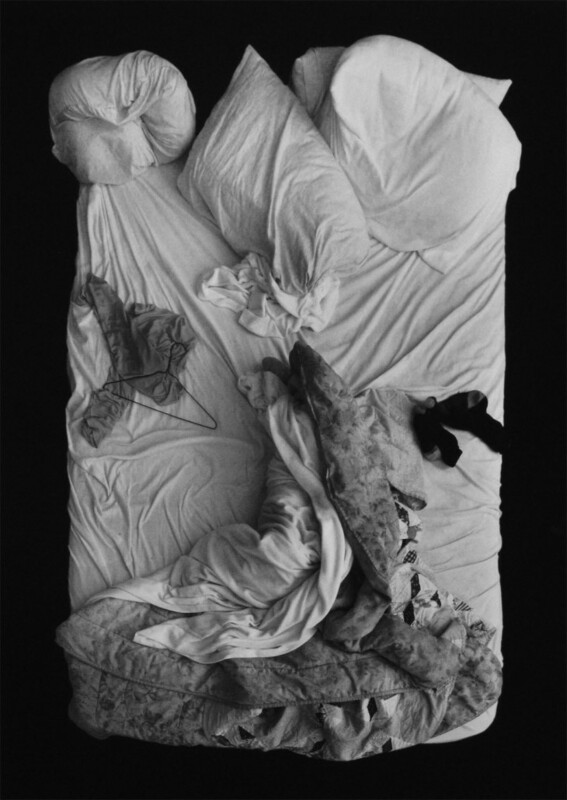 The tousled sheets in each “Bedscape” act as an emotional barometer of a relationship. 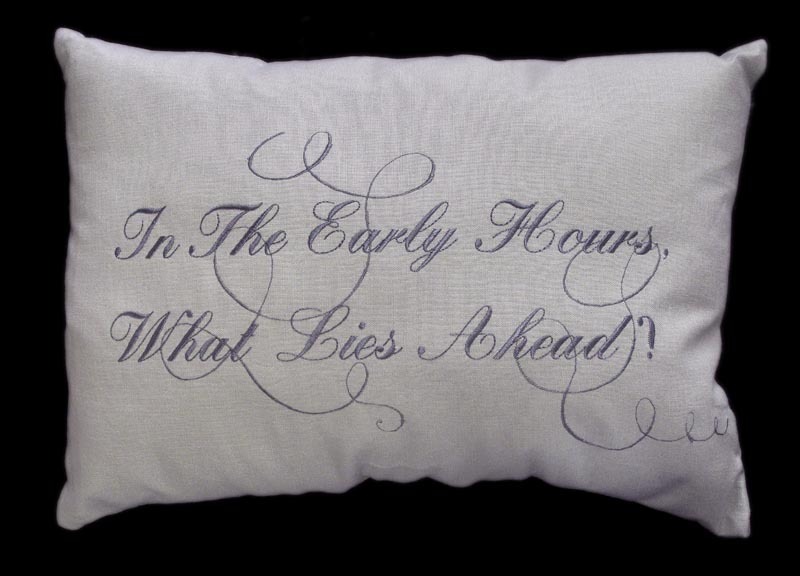 As an extension of the bed as subject and canvas, Duehr also displays a series of pillows embroidered with his original poetry that reflects on identity and solitude. Artist Talk: Reflecting on “Awake”, Selfies in Feminist Art will give visitors a chance to discuss self-portraiture in feminist art and its relationship to the contemporary phenomenon of “selfies” in social media. Awake was selected for the Curatorial Proposal Series, an exhibition program that encourages curatorial experimentation of contemporary art. The 2014 Curatorial Proposal Series is sponsored by the Cambridge Arts Council and Massachusetts Cultural Council. Gallery 263 is a nonprofit arts organization in Cambridge, MA. Our mission is to provide a place for local and regional artists of all media to exhibit work and engage the community. Gallery 263 exhibits are free and open to the public.